For a girl who has very oily teenage skin I sometimes want a a dewy look but I don’t mean the kind of dewy look were I forget to put powder on and see my face 15 hours later. I mean that kinda glowy, youthful lite from within kinda look. 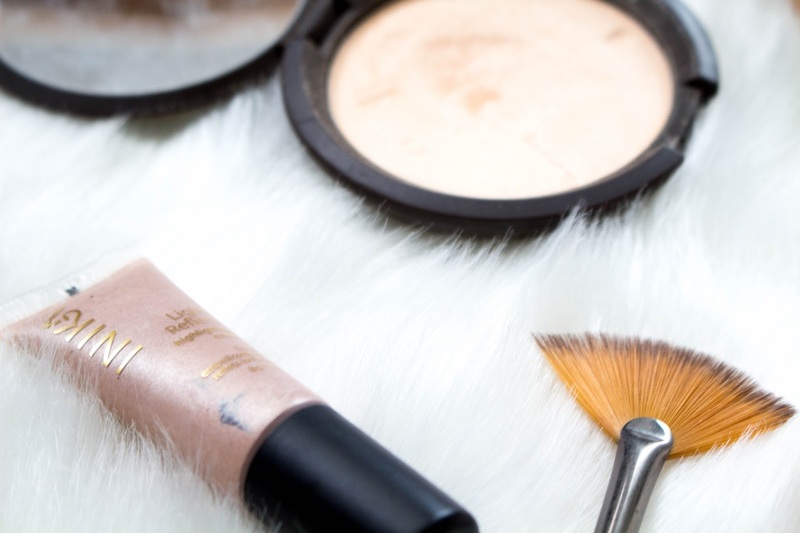 With spring currently here and summer on its way I think now is the perfect time for a dewy finish. So I dug around my makeup draws to see if I could get with the weather and create a glowy look. 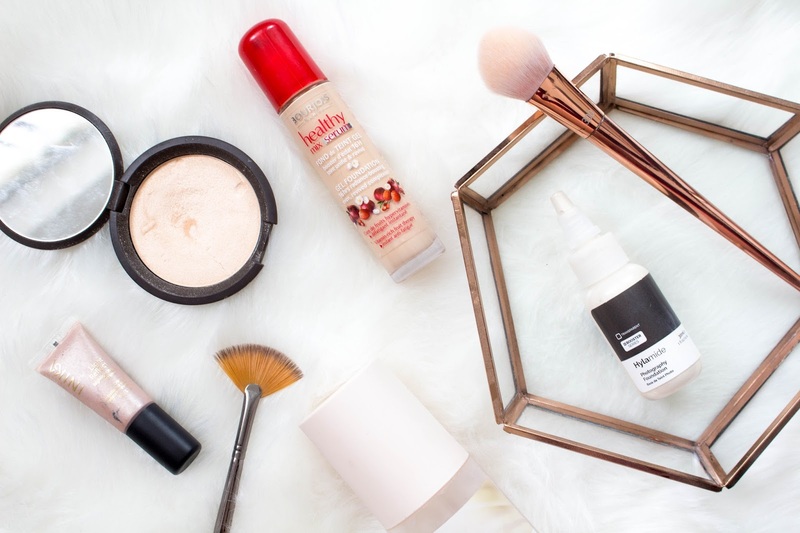 Over the past two weeks I’ve been trying out different products and ways to create a dewy look for oily skin. So far I’ve found for me it is not something I can wear for a long time, I couldn’t do a full shift in work but I could do blog events and shorter things like breakfast with pals or running errands. Lets be honest if I run errands it is no makeup situation. Anyway I’ve narrowed down my best products for oily skin to look dewy and not sweaty, yay. 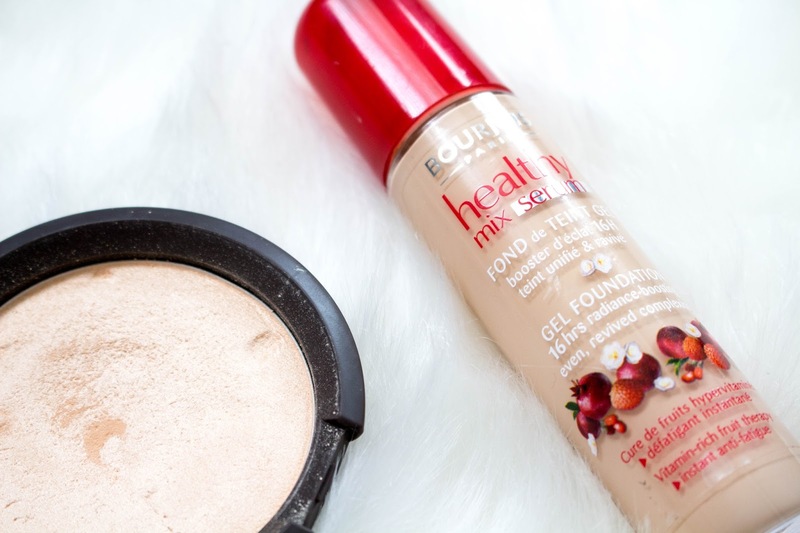 Starting with base I like to mix my go to dewy foundation Bourjois Healthy Mix Serum with Hylamide Photography Foundation, now the Bourjois foundation is a little bit too dark for me so I use a white foundation to lighten it. 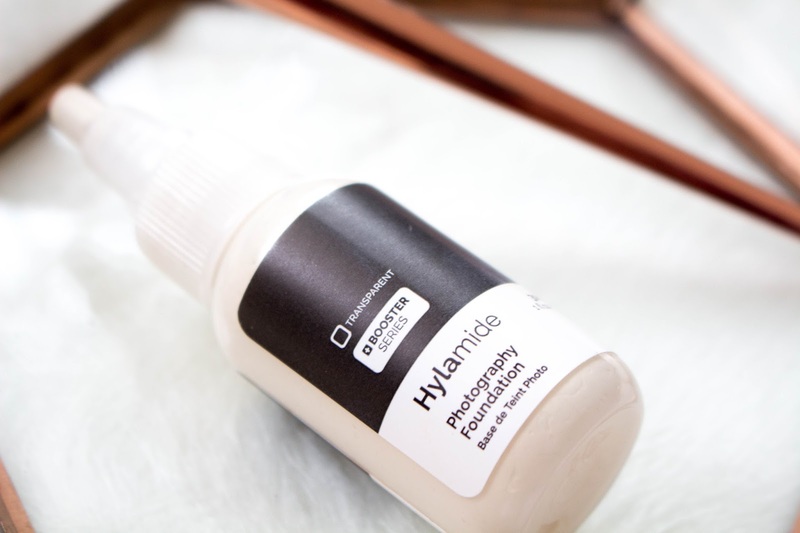 Now apart from foundation and lightener I have the Hylamide ‘foundation’ and I say foundation like that because it isn’t a typical pick your shade and coverage foundation. This foundation is a thin, extremely pale glowy liquid and I find it incredible to mix with foundations but I was actually told you can go no makeup and just wear this to give you skin life and this is why I love it and always use it in the warmer months. Of course the photography foundation is great for shoots under the lights but also in natural sunlight. These two together bring my skin some life without it breaking me out into a oily mess. It creates like a nice sheen and I’m using the word sheen in a positive way! After I’ve applied my base I then go ahead to highlight and after visiting the LIV Food Market (review coming soon) I was gifted with a goody bag containing a beautiful vegan liquid highlighter. It is by the brand Inika Shop Here . I’ve tried this out for the last two weeks and so far is it the only liquid creme highlighter that doesn’t remove my makeup from underneath and for that I give it a 10/10. Whatever the liquid highlighter is removes and separates from my foundation but Inika is onto a winner with this one. I just apply some tiny dots around my cheekbones, centre of my face you know the usual highlighting areas and then beat it in with my beauty blender. So far so good, works perfect for me but the only thing is I can’t tell you guys a shade as I threw the packaging away whoops. So all I can do is describe it, the colour is of a champagne one. Now I know sometimes it’s hard to leave cream products on your face without setting them, so if you’re not okay with leaving unset products then the perfect highlighter to set the liquid one has to be my ultimate favourite highlighter ever. Becca Shimmering Skin Perfector in Moonstone. By far the best quality, colours, texture everything about these highlighters I adore I can’t fault them. After a long wear they just melt beautifully into the skin they aren’t chalky and don’t sit on top they really melt and become part of your skin. To top everything off or if you’re looking for a quick fix of dewy skin I suggest a dewy setting spray. 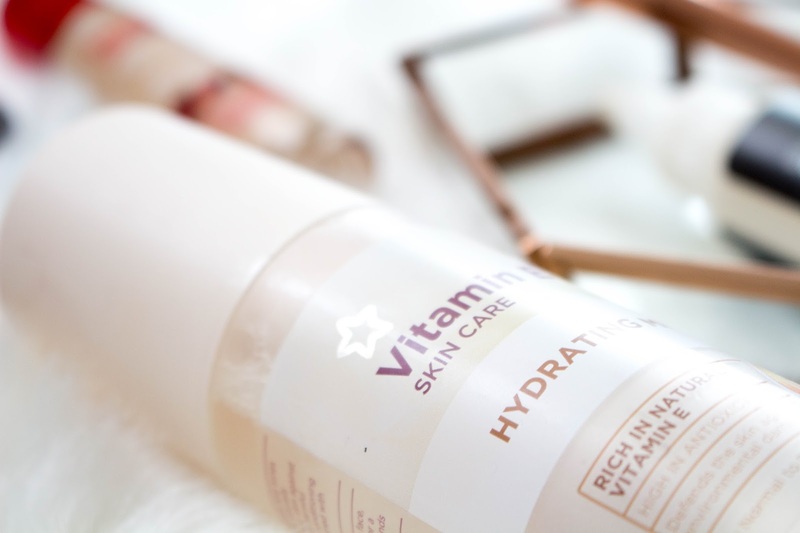 Now I haven’t tried any but a mist I’ve been using recently is the Superdrugs own Vitamin E Hydrating Mist . This stuff is to help boost your skin and help with dry patches however because its for dry skin it leaves a really nice dewy finish on the skin. I’d advise not to go over board as its not going to set any of your makeup just a spritz of dewiness that will soak in after a few hours.